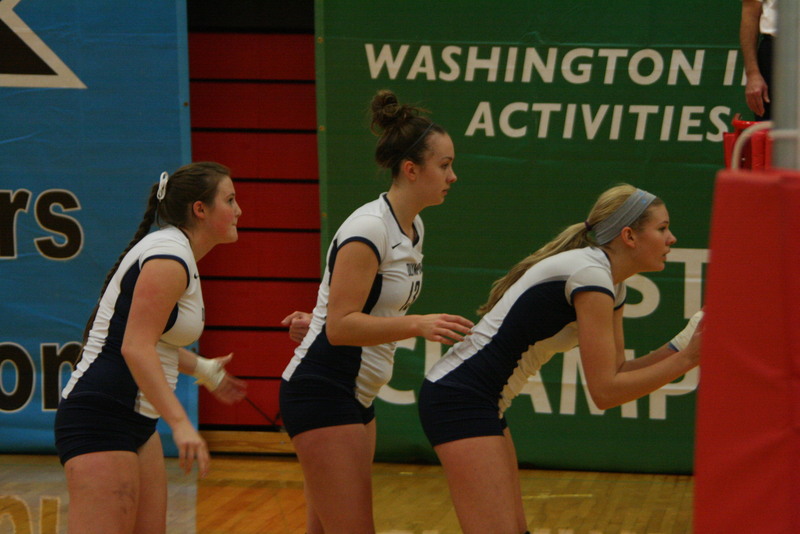 Olympia high school senior middle blocker Hannah St. Jean (farthest right) recently committed to Franklin Pierce University in New Hampshire to continue her volleyball career at the next level. St. Jean has been on the varsity volleyball team at Olympia since she was a sophomore, when she was part of the 2011 4A state championship team. In the fall of 2010, Hannah St. Jean was a freshmen on the Olympia High School junior varsity volleyball team. At the time, she was unaware of the glory, friendships, and life lessons she would obtain over the next four years. Now, the standout middle blocker is a state champion, collegiate volleyball commit and leader on an OHS team that has started the 2013 season 6-0. Looking back, St. Jean is saddened somewhat that her time at Olympia is ending but still excited for the future. With a full 4A Narrows League schedule ahead, the ‘ride’ is far from over for St. Jean and the 2013 edition of the Bears volleyball team. One of the most successful programs in the state over the last decade, the Bears volleyball team has finished with no fewer than 13 wins since 2007, with a state championship at the 4A level under head coach Laurie Creighton in 2011. St. Jean was a sophomore on that state title team and also a key contributor on last year’s 15-win team that finished fourth in state. While the Bears did not repeat as state champions, St. Jean was pleased with the team’s finish, and more importantly how they improved throughout the season. While last season was memorable for St. Jean, it cannot come close to her experience on the state championship team. As a senior, St. Jean has noticed her leadership role on the team increase. She hopes to pass down lessons she learned from the upperclassman as a freshmen and sophomore at Olympia. 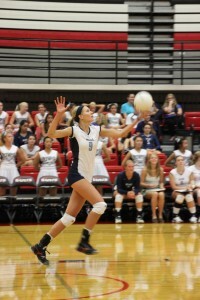 Now a senior, Olympia high volleyball start Hannah St. Jean has noticed her leadership role increase. The Bears are 6-0 to start the season and have high expectations for postseason play. St. Jean has had plenty of time to take in the intricacies of volleyball and how to be successful in the sport. 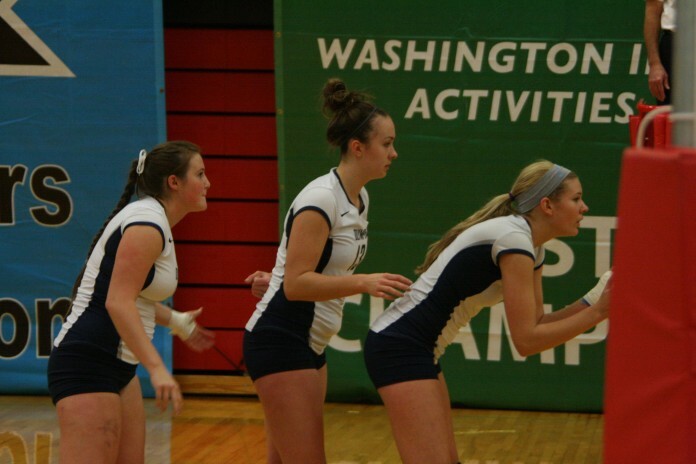 She began playing in a South Sound YMCA league as a fourth grader and three years later she began playing for club ball for the Olympia Volleyball Club. St. Jean would move on to Capitol City Ice and most recently, 253 Elite, where she was watched by a friend of Franklin Pierce head coach Stephanie Dragan at nationals in Arlington, Texas. Club volleyball and high school volleyball have their differences, and her experience in both avenues of the sport has bolstered her desire to keep playing. Like Olympia players before her, St. Jean has been shaped in part by Creighton, one of the state’s most respected and successful coaches in the sport. Through her strong play both on the club circuit and in high school competition, St. Jean was able to garner interest from a number of universities before she committed to Franklin Pierce in early September. With the commitment behind her, St. Jean can focus on leading the Bears back to the state tournament. Her past and future both bright, St. Jean is thankful for her time at Olympia and the people who’ve made it special.